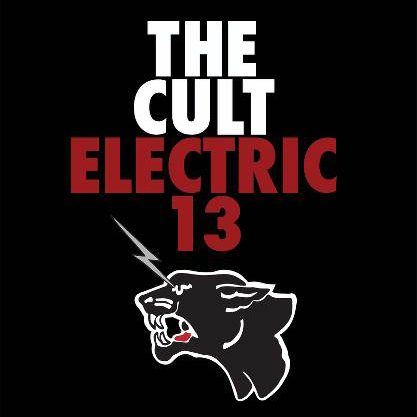 — The Cult was ostensibly at the Fillmore Detroit on Wednesday, Aug. 9, to celebrate its 1987 breakthrough album “Electric.” But frontman Ian Astbury also took time — a lot of it during the two-hour show — to celebrate the city. Noting that the band has been coming to Detroit “since (bleep)ing 1984, Astbury became the town’s latest visiting cheerleader, even making a bit out light out of the area’s financial turmoil. “You guys are in a recession? Doesn’t (bleep)ing look like it,” Astbury noted early in the show, after serenading the Fillmore crowd with Detroit-centric lyrics set to Jay Z’s “Empire State of Mind.” He also extolled the virtues of the city’s musical heritage, name-checking the MC5, the Stooges, Alice Cooper, Eminem, Motown. It’s always nice to hear from somebody who’s happy to be here, of course. But Astbury and the Cult were potent enough musically on Thursday night that they hardly had to pander for favor. Led by Astbury’s booming tenor and random sermonettes — “This is a live rock ‘n’ roll show. What do you want? !” he noted at one point — and Billy Duffy’s fierce guitar attack, the Cult won the night early with its romp through “Electric,” delighting an exuberant crowd with seldom-played tracks such as “Aphrodisiac Jacket,” “King Contrary Man” and “Outlaw” as well as charging through enduring favorites such as “Love Removal Machine” and “Peace Dog.” “Zap City” from the original, abandoned version of the album was restored in the running order in place of the cover of Steppenwolf’s “Born to Be Wild,” while “Memphis Hip Shake” was a loose-limbed jam during which Astbury vamped a new set of Detroit-centric lyrics. Before a very brief intermission Astbury proclaimed that the Cult was going to “kill” the “Electric” recitation with the show’s second half — and he wasn’t kidding. Though it eschewed major hits such as “Fire Woman” and “Edie (Ciao Baby),” the Cult still touched on familiar powerhouses (“Rain,” “Sweet Soul Sister,” “She Sells Sanctuary”) alongside deep fare like “Spiritwalker,” “The Phoenix” and “Rise.” The quintet also dug into its latest album, 2012’s “Choice of Weapon,” for a few songs — “Honey From a Knife,” “For the Animals” and “Lucifer” — that certainly held their own amidst their predecessors. Astbury also invoked the MC5’s “Kick Out the Jams” while Duffy played the descending riff of the Stooges’ “I Wanna Be Your Dog,” while the Cult finished with an extended stomp through “Sun King.” Twenty-nine years later the group was clearly as potent as it’s ever been, so here’s hoping it continues to play these parts for many (bleep)ing years to come. via Concert Review: The Cult delivers a truly “Electric” night at the Fillmore Detroit – theoaklandpress.com.